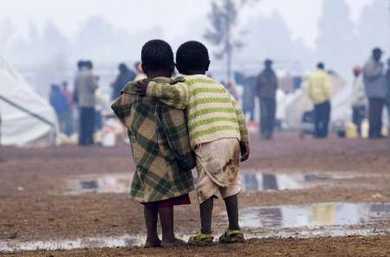 Alleviating child and youth homelessness in Kenya is a very big challenge. Over half a million kids are forced to live on the streets for many reasons including extreme family poverty, physical abuse or the death of one or both parents. When street kids are left to their own means to earn a living they find themselves in some of the worst situations in order to survive: slave labour, prostitution, begging, stealing, etc. Street kids face stigmas in their communities and there are few rehabilitation options available to them. Many mistrust adults as they have limited to no examples of positive adult interactions. This is one of the most difficult lives to live, and many kids soothe their pain with easy to purchase substances like glue. As the children become addicted to these substances, it makes their dire situation even more difficult to escape. When kids are left to fend for themselves on the streets, their lives are often short and painful. Most kids do not want to live this way. Rehabilitation to a healthy and fulfilling lifestyle is possible when good supports are in place. Two years ago the Tumaini Children’s Drop In Centre was opened in Eldoret, Kenya to address this crisis. The centre works with street kids so they can live longer, healthier and more fulfilling lives. We am working with an international team to create a monitoring and evaluation system that will help the Centre better respond to the needs of street kids and attract more funders in order to expand their services. This evaluation system will incorporate the views, ideas and perspectives of street kids using an innovative technique called Photovoice. Through this website, you can become part of this exciting project by helping to fund it as well as to beupdated on the impact we are having in Eldoret, Kenya through our blog.